The article includes an extensive interview with DMS Managing Director Simon Briggs and looks at DMS’ transformation into a high volume, quick turnaround localisation business that creates between 50 and 60 ads a day for use on TV, online and social. 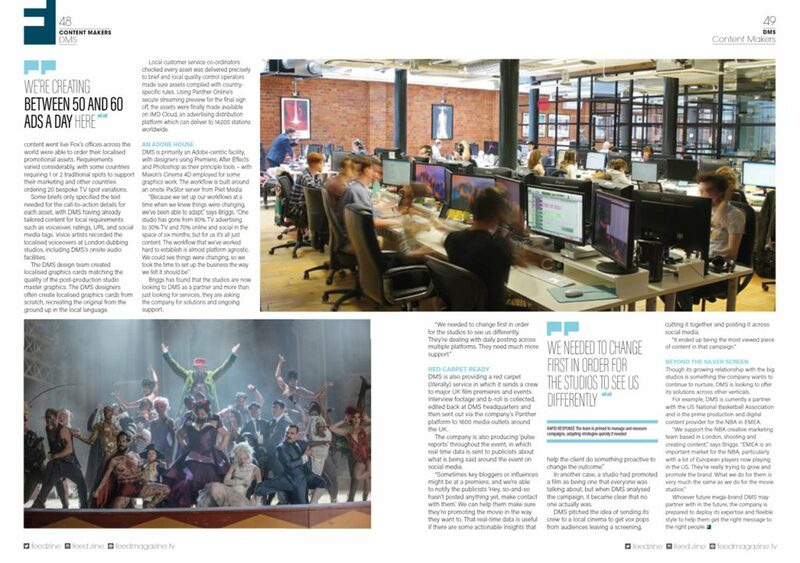 It also details the services that DMS provided to 20th Century Fox for its title The Greatest Showman, which involved localising and delivering 509 assets including TV and social media spots, digital billboards and a variety of online content to 30 different countries. FEED is a monthly print magazine that looks at the tools and tech powering the online video explosion. 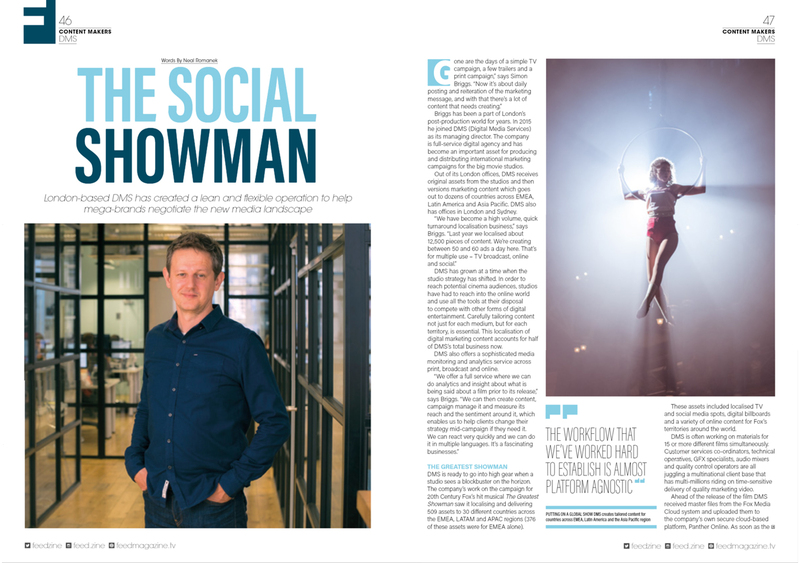 You can read the full article, titled The Social Showman, in its digital issue by clicking clicking here, or clicking the images opposite.